Each of the more than 130 team members thrives on challenge, variety and responsibility. A number of the drivers are avid photographers, taking full advantage of the stunning vistas they encounter while on the road. 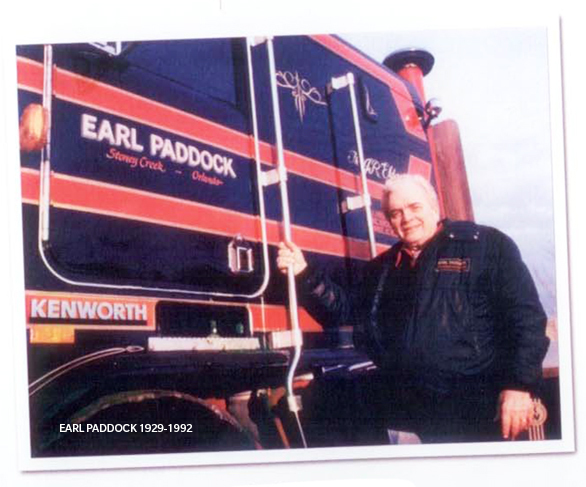 Company founder Earl Paddock died in 1992 and the next generation of Paddocks took over, maintaining Earl’s legacy of make-it-happen service. 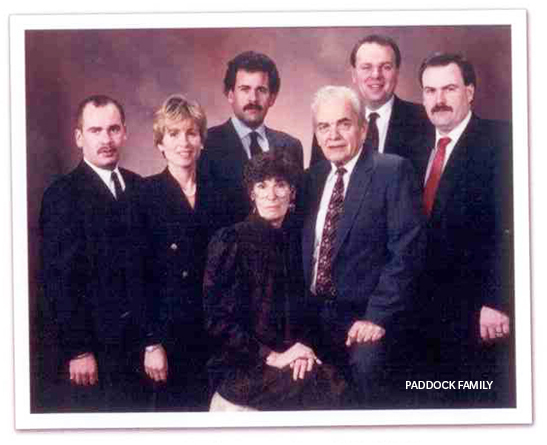 As a family-owned business, decisions get made quickly, which means Paddock can respond almost immediately to any request. Earl decided early on to name each of his trucks. 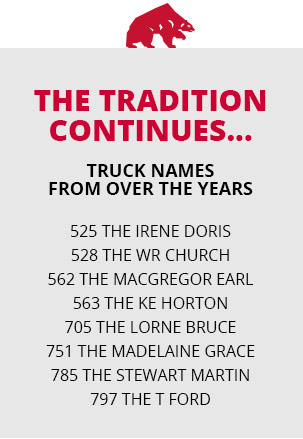 The tradition continues to this day, with each of the fleet of 100 or so trucks named after someone special: retired drivers, family members, important suppliers or partners. 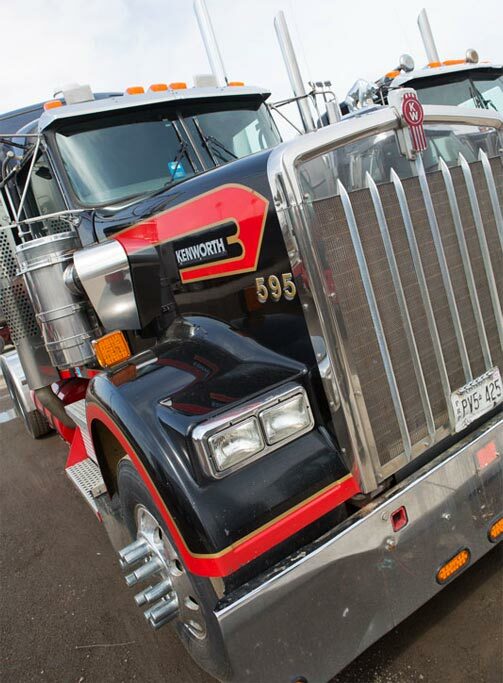 Earl Paddock founded the company in 1957 with a $2500 loan from the Stelco Credit Union to buy a $5000 “Diamond T” truck. 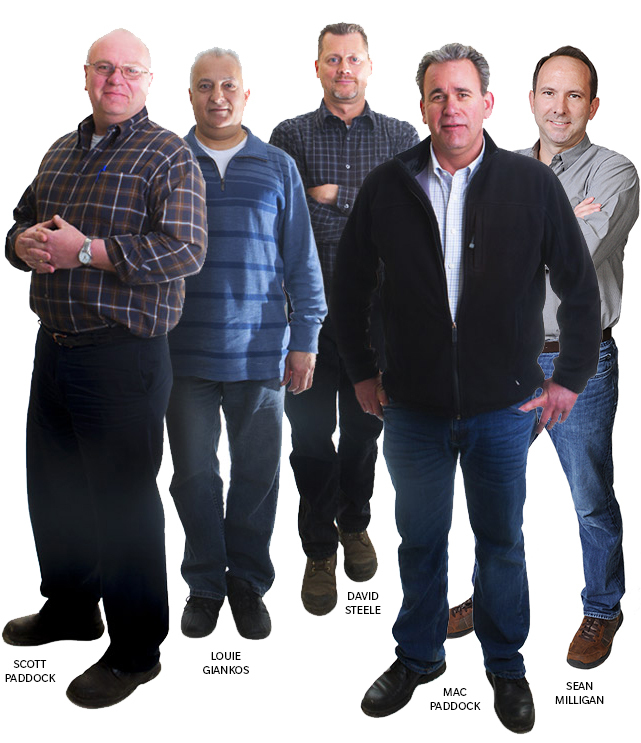 established the strong values of integrity and innovation that are alive and well at Paddock today.